Fresh from Florida tomatoes are in the spotlight this month. When you’re looking for an easy and delicious recipe using fresh from Florida tomatoes this Tomato Rosemary Bacon Tart is a perfect tomato recipe. 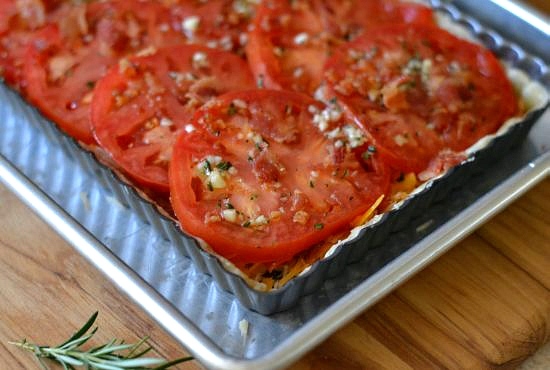 This little tart is packed full of fresh tomato flavor and only requires a few ingredients. 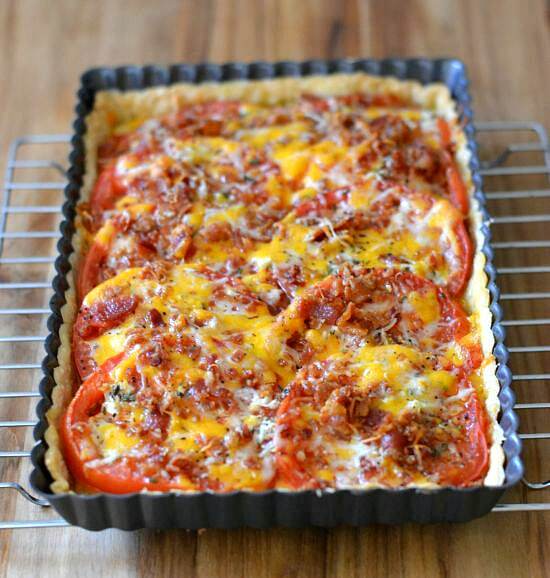 I knew I was going to make this Tomato Rosemary Bacon Tart recipe. A good way to keep up with what seasonal fruits and vegetables are available from Florida is to check out the Fresh from Florida website. 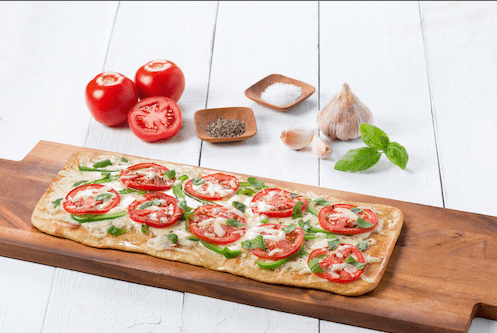 You can keep up to date with what is in season each month and find delicious recipes using the in season fruits and vegetables from Florida like this Tomato Flatbread from Fresh from Florida. Look for the Fresh from Florida logo when you’re shopping and eating out at local restaurants. One of my favorite tomato flavor combos is fresh tomatoes, fresh rosemary, bacon and cheese. Matter of fact this same combo makes an awesome grilled cheese sandwich. 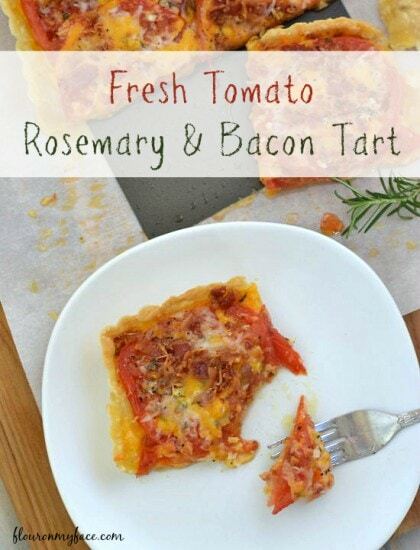 This Fresh Tomato Rosemary Bacon Tart is very easy to make. I’ve used a store bought pie crust but you could use puff pastry or a homemade pie crust instead. The star of this recipe is the fresh Florida tomatoes and the other ingredients compliment the delicious flavor of the UglyRipe tomatoes. Any Florida tomato will do but I urge you the next time you are shopping for tomatoes to look for the Fresh from Florida sign and pick up a package of the UglyRipe tomatoes. They have the best tomato flavor. A tart recipe is a very versatile recipe. You can use any type of crust you have on hand. You can also use any type of pan that is shallow like a pie plate or even spread your crust out on a cookie sheet and pinch the edges up to keep the filling from spreading. The crust is there to hold all your ingredient together so don’t feel like if you don’t have the perfect tart pan to use you can’t make and enjoy this recipe. Roll out pie crust to fit the tart pan. Brush tart pan with olive oil. Place pie crust in the pan and trim edges. Brush pie crust with olive oil, prick with a fork and pre-bake in a 375 degree oven for 10 minutes. Remove pie crust from oven and set aside. Toss all the cheeses together in a bowl. Remove 1/4 cup and set aside. Mix minced garlic and rosemary with 2 tablespoons olive oil. Brush pre baked pie crust with some of the olive oil and herbs. Sprinkle the cheese over the bottom of the pie crust. Sprinkle half the bacon pieces over the cheese. Slice the tomatoes about a quarter inch thick and arrange over the cheese. Brush the tomato slices with the remaining olive oil and rosemary. Top the tomato slices with the remaining bacon and cheese. Let tart rest for 10 minutes before slicing. A word about rosemary. Dried rosemary will work in a pinch but fresh rosemary is so much better. The flavor is better and because it is fresh it doesn’t taste like you are chewing on a mouth full of dried pine needles. If you have to use dried rosemary before you start the recipe above measure out the dried rosemary and the minced garlic and mix it with the olive oil as in step 8 of the directions above. This will allow the dried rosemary to soften. Connect with Fresh From Florida on Facebook and Fresh From Florida on Twitter for more information about Fresh from Florida produce. Brush the tomato slices with the remaining olive oil and herbs. Check out all my other Fresh from Florida recipes below.